(Newport, Oregon) â€“ Where the famed lighthouse soars high in the air and winks every few seconds, and where the rough Oregon coast waters meet a calming, cajoling bay. Newport is packed full of wonders both natural and manmade, and some of its lodgings reflect that. Hotels, motels and inns here can be a mix of interesting things, while its vacation rental scene is packed full of delights hiding in plain sight. 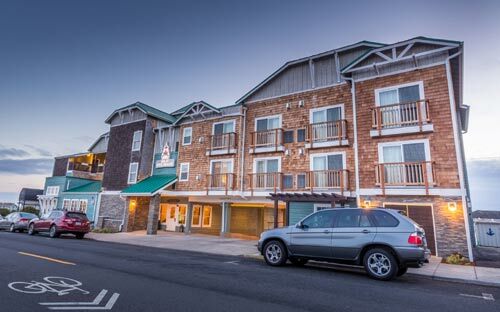 Agate Beach Motel overlooks Yaquina Head with particular style. Itâ€™s a 1940's vintage motel packed with all the modern amenities, with every room more like a cottage. All adorned in elegant wood walls, itâ€™s part rustic and part upscale beauty â€“ yet still cozy and adorable. And affordable. All the rooms come with with full living rooms, dining area, queen sleepers, TV/DVD, full kitchens (with pots, pans, dishes, etc), full size gas range, frig, microwaves and coffee makers. Many pet friendly options on top of it all. Separate bedrooms have queen beds, down comforter quilts and private decks that face the ocean. Plus your own private beach access. Carports come with some units. Thereâ€™s a large grassy area with picnic tables and youâ€™ll find a fire pit perfecting for summer roasting and post-beach walk chats. Itâ€™s all close to Nye Beach or Newport's Bayfront. 175 NW Gilbert Way. Newport, Oregon. 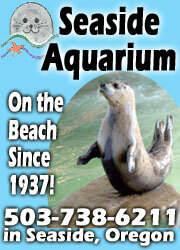 541-265-8746. www.agatebeachmotel.com. 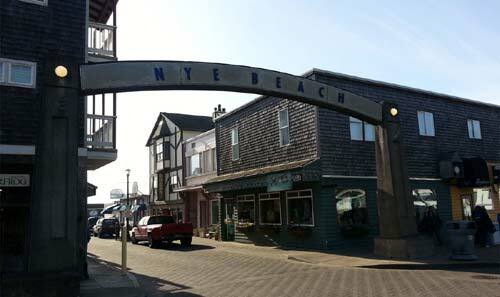 In famed Nye Beach, the arts epicenter of the central Oregon coast, Inn at Nye Beach stands tall and stately, exuding romance and the upscale. Itâ€™s a boutique hotel with breakfast service to your door, an elevator thatâ€™s wheelchair friendly, and there are full balconies and spa features. 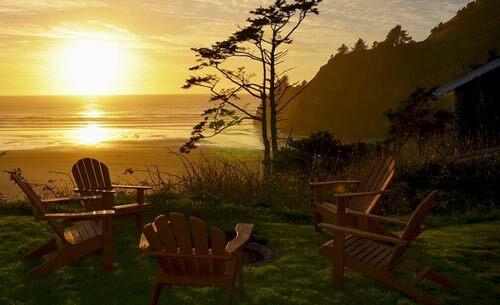 The sundeck â€“ as well as the oceanfront rooms â€“ afford expansive vistas of the Pacific and the flashing of Yaquina Head Lighthouse in the distance. Room options include one and two bedrooms, a two-bedroom kids suite, a fireplace, a honeymoon suite and even a Jacuzzi loft room. Amenities: gourmet teas and coffee, DVD (and rentals), microwave and mini-fridge, high thread count luxury linens, Jacuzzi options, fireplaces. 729 NW Coast St. Newport, Oregon. 541.265.2477. 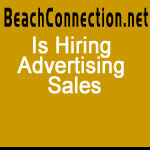 800.480.2477. www.innatnyebeach.com. 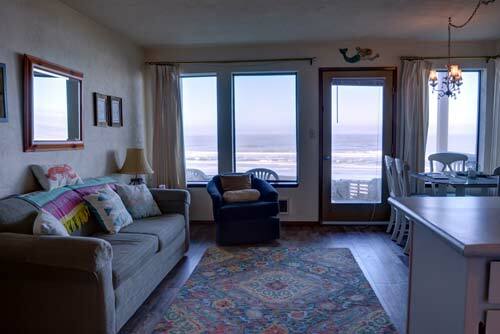 Just a short drive south of Newport, in Waldport, youâ€™ll find two stunning vacation rental options: the Pacifica House and the Waves House. These two contemporary stunners sleep up to 8, and they feature enormous windows on the ocean as well as a wood fireplace, cathedral ceilings, and a private hot tub under the stars with an ocean view. Thereâ€™s a pool you get access to in the summer. Waldport. 541-968-0322.Â Website here. Little Bit O' Heaven is a gorgeous lodging in the historical Nye Beach area. This oceanfront condo sits at the ground level, offering one bedroom and accommodating up to four people. Youâ€™ll also find a sofa sleeper for a guest, along with access to a pool and hot tub. Amenities: blue-ray player, cable TV/Dish, washer, outdoor furniture and fast wi-fi. Newport, Oregon. 800-723-2383 Website here. Nye Beach Condos at Pacific Crest feature various units and cottages in a soaring, beautiful condo overlooking this historical section of the Oregon coast. Units are massive and each is just steps away from the sandy beaches and addictive restaurants of the area. Amenities: digital cable, some have balconies or patios, wi-fi, and access to an outdoor pool and spa in summer. Nye Beach, Newport, Oregon. 541-265-2477 ext. 752. Website here. 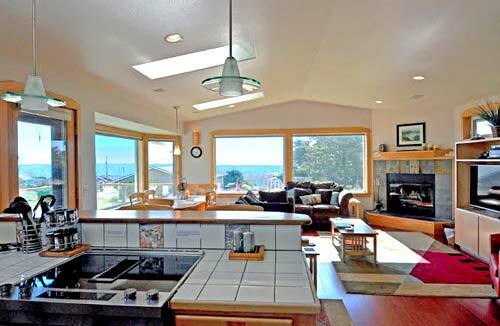 The Mariner on Nye Beach is an upscale two-story home right above the sands of Newportâ€™s Nye Beach district, with massive windows providing expansive, panoramic views of the ocean. Two and a half bedrooms and two and a half bathrooms augment the vacation rental experience, sleeping up to four people. A large deck adds even more. From a gargantuan sofa, sit and enjoy the fireplace on those stormy Oregon coast nights, coming with a mounted TV above it. A sizable kitchen brings out the foodie out in everyone. Thereâ€™s a masterful layout and design to the place, and beautiful furniture graces every corner. The large bedroom suite includes a Jacuzzi bathtub in an engaging stone setting. Both bedrooms include king sized beds. Amenities: Balcony binoculars, blu-ray player, board games, cable TV, washer/dryer, outdoor propane grill. Discounts for seven days or more. Newport, Oregon. 800-723-2383 Website here. An Ocean Paradise Whales Rendezvous, Depoe Bay - near Newport. Two oceanfront suites for a romantic getaway: Vacation Rental package or a Bed and Breakfast Package, you get to choose. Private deck, private outdoor entrance. Large outdoor deck / garden area, wood fire pit, Adirondack chairs. Suites come with elegant antiques, gas fireplace, fridge, microwave, toaster, coffee maker, WiFi, cozy robes, satellite TV, DVD, and binoculars to watch the whales. 147 N. Highway 101. Depoe Bay (15 mins from Newport, Oregon). 541-765-3455. Website here. Inn at Wecoma. - 30 mins from Newport. Recent major renovation. Sleek, modern design w some partial ocean views, balconies and fireplaces. Spacious guestrooms w/ microwave, refrigerator, coffeemaker; lavish, free hot breakfast. Large grand suite. Indoor pool and a hot tub. W-fi, fitness room, business center, free wi-fi, 867-sq-foot conference room for business meetings or large social events. Some pet friendly. 945 NW Hwy 101. Lincoln City, Oregon. 800-452-8981. www.innatwecoma.com (20 mins from Newport, Oregon). A1 Beach Rentals, 30 mins from Newport . Over 25 vacation rental homes . Craftsman or traditional beachfront. One to seven bedrooms. 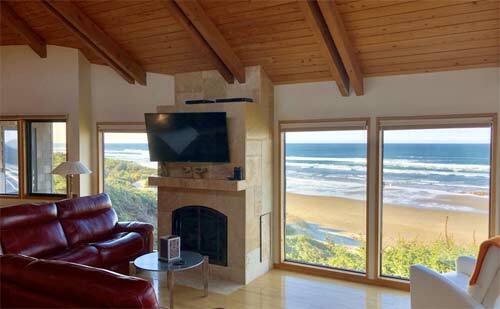 In various areas of Lincoln City and overlooking the beach, with some in Depoe Bay. Some w/ hot tubs, decks, BBQ, rock fireplaces. Some new, some historic charmers. Lincoln City, Oregon. 1-(503)-232-5984. www.a1beachrentals.com. (30 mins from Newport, Oregon). Coho Oceanfront Lodge. - 30 mins from Newport. Overlooking the Pacific; upscale, luxury hotel w/ some pet friendly. Jacuzzi, sauna, indoor heated pool, in-room massage, wifi, fitness room. Studios w/ balcony, deluxe suites for small families, couples. Suites designed for kids; big suites for larger families up to eight; fireplace suites too. Luxury suites available. Free continental breakfast. 1635 Northwest Harbor Ave. Lincoln City (35 mins from Newport). 800 848 7006. www.thecoholodge.com. Inn at Lincoln City. Right on the famed D River with ocean views, and just a block from the beach. Elegant guest rooms, some w/ views and whirlpool tubs. Copious complimentary breakfast in morning, free wi-fi, a business center, accessible elevator, a sizable DVD library, pets allowed and a 24-hour lobby. Lakeside fire pit. Plenty of parking, and thereâ€™s an indoor spa. All rooms come with coffee maker, microwave, refrigerator, flat screen TV, hair dryer, air conditioning. 100 percent smoke free. 1091 SE 1st Street. Lincoln City, Oregon. (541) 996-4400. Website here.